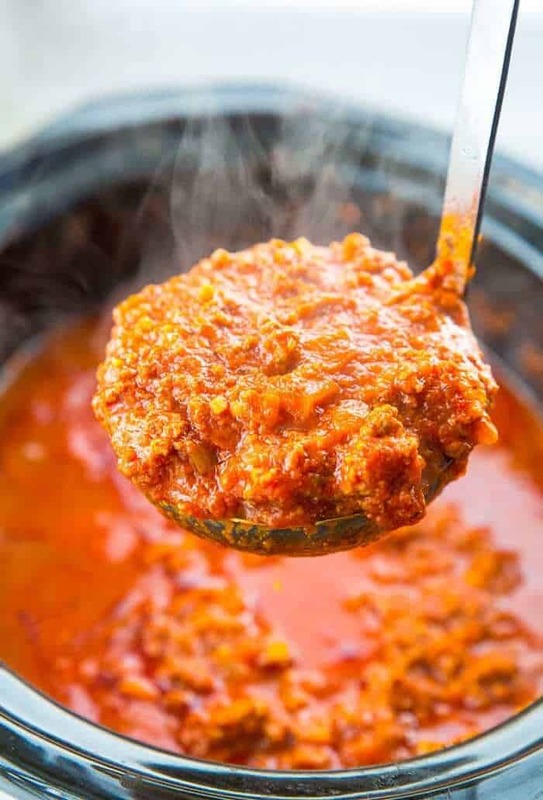 This slow cooker bolognese sauce is the perfect homemade sauce for pasta! 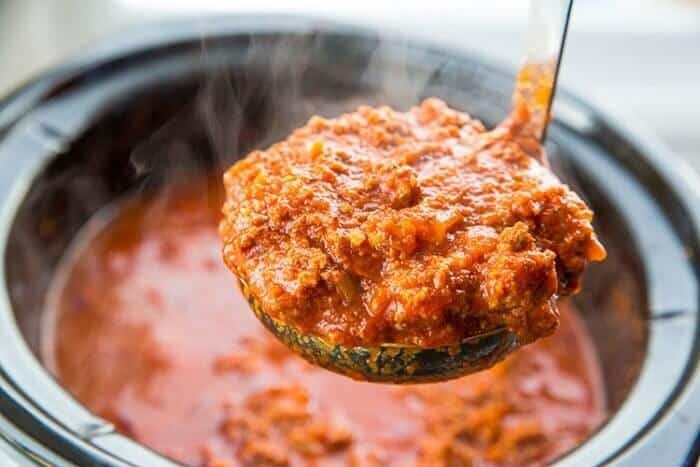 I don’t tend to blather on about recipes being life changing, however I am going to make a very rare exception for my Slow Cooker Bolognese Sauce. This was amazing. This was melt-in-your-mouth sauce perfection. This is what your slow cooker was made to do. It was made to cook this sauce low and slow all day long,slowly breaking apart the ground beef and cooking everything into one velvety, rich, pillowy soft sauce that is the best thing I’ve eaten on pasta outside of the renowned Italian restaurant Corso 32 here in Edmonton. And yes, I meant it when I said the sauce was soft. You are just going to have to try it yourself to understand. Bolognese will change how your view pasta sauce from here on in. Forever. I am going to warn you that once you try the real method of making bolognese, the North Americanized tough ground beef in spaghetti sauce is going to be garbage on your plate from now on. What we did here in North America is we took Bolognese sauce and made it fast, quick and terrible. This is slow, purposeful and magnificent. Heat the olive oil in a large skillet. Saute the carrots, celery and onion until tender. Add in the garlic and saute for another 2 minutes, until it’s fragrant and lightly browned. Place the vegetables into the bottom of a large slow cooker. In the same pan cook the ground beef until it is fully browned and no longer pink. Drain the grease and add to the slow cooker. Add the tomatoes, tomato paste, Italian seasoning and bouillon cube. Use on your favourite pasta. Important bolognese tip #1 : I am not calling this a traditional Bolognese by any means. While it does have very traditional additions such as the cream and the Parmesan at the end, I’m not Italian. I basically read a ton of recipes and pulled what I liked from them and threw it in a slow cooker. You can have pancetta and veal, even mortadella in traditional Bolognese sauces. I learned that traditional recipes for Bolognese vary from Nonna to Nonna, so don’t be taking this recipe as the final end all be all, ok? Important bolognese thing #2 : You simply have to take the 20 minutes prep time and dice everything super small. 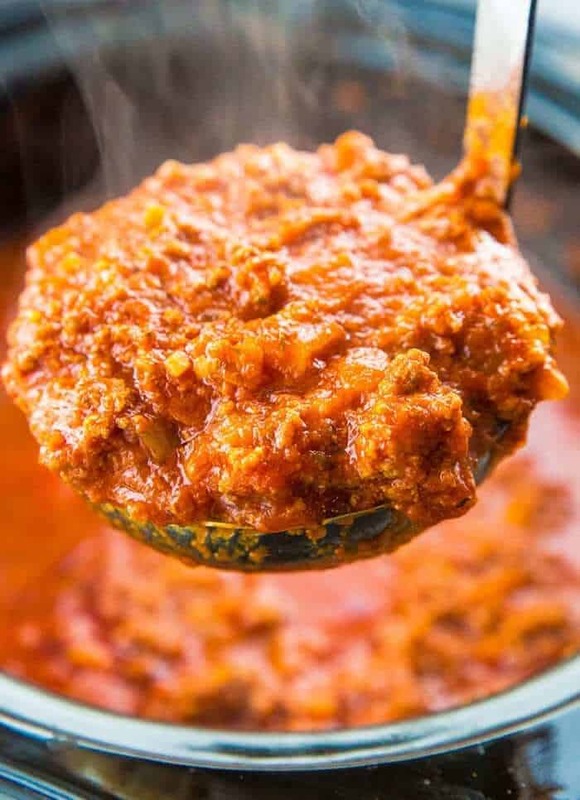 The beauty of a bolognese is that it is a smooth, velvety sauce that literally will melt in your mouth after 10 hours in your crockpot. If you leave large chunks of carrots etc. you will loose that amazing texture that was the entire point behind the low and slow all day cooking. Yes! This is a fantastic sauce to make ahead of time and freeze in the portions that you will use for later. Make it, let it cool to room temperature and the place it in the storage containers of choice. Freeze for up to 6 months. To use, simply take the bolognese sauce out of the freezer, defrost, heat up and use on your pasta. The best part is that this is a large recipe. Once I figured out that I was spending a lot of time on prep with the dicing of all those vegetables I was going to make it worth my while. This makes the equivalent of 3-4 jars of store bought sauce. Freeze the extra for a later date- you will be ever so glad that you did. Next time I am going to make it 50% larger and see if I can fit it in my crockpot, it might be a bit of a squeeze but I think I can make it work. If you are cooking it all day long you may as well get all the messy prep done at once and have leftovers for another 3-4 meals. I would not make this in the Instant Pot. 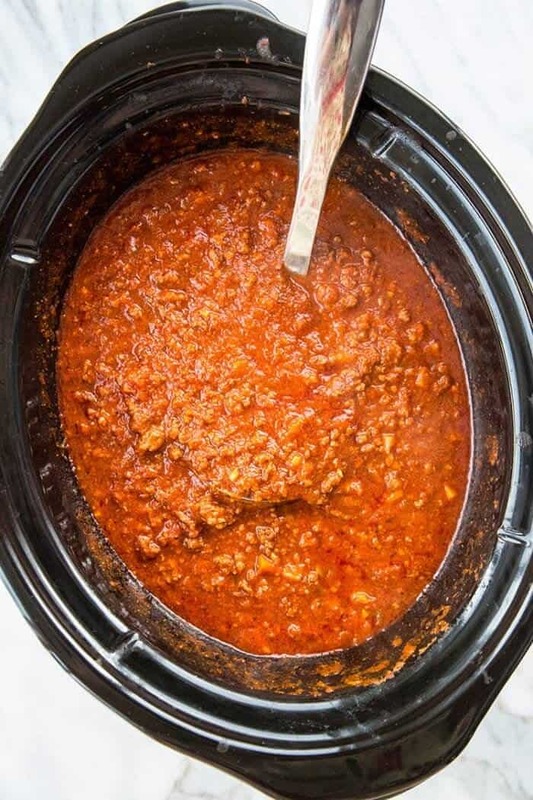 Low and slow is the way to go with this recipe and although I truly love my Instant Pot, this sauce will not be the same as it turns out when you do an all day simmer. Happy cooking everyone! Make sure to try this recipe, you will be SO glad you did! 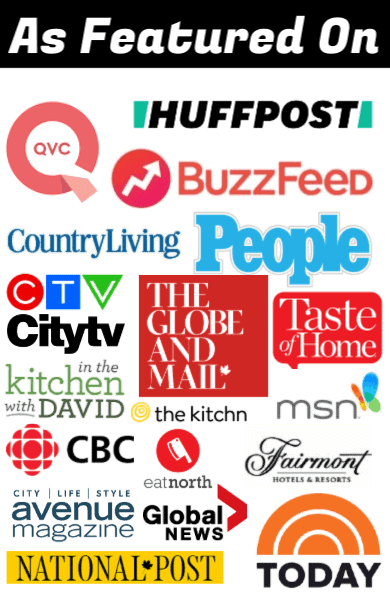 Pin this to your Slow Cooker and Dinner Ideas Boards and Remember to FOLLOW ME ON PINTEREST! 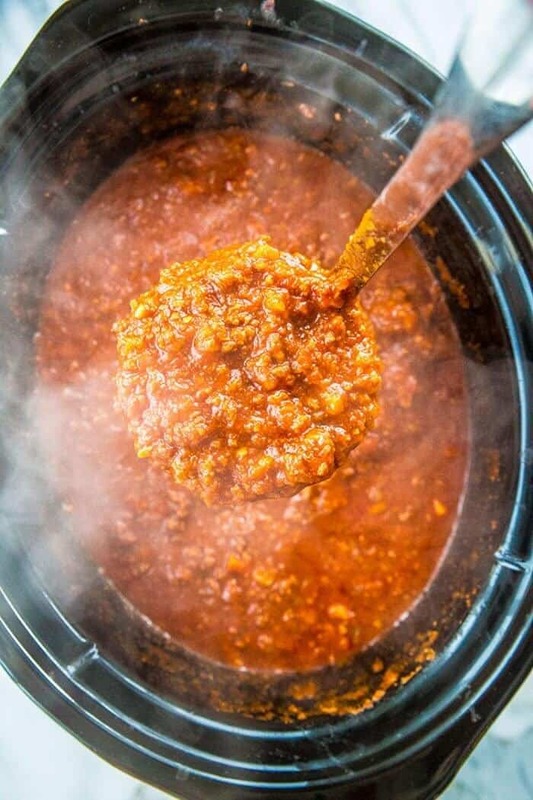 This dreamy bolognese sauce will be a family favourite! It cooks all day long and you end up with a velvety meat sauce that will change the way you think about sauces! Heat the olive oil in a large skillet. Saute the carrots, celery and onion until tender. Add in the garlic and saute for another 2 minutes, until it's fragrant and lightly browned. Place the vegetables into the bottom of a large slow cooker. Add the tomatoes, tomato paste, Italian seasoning and boullion cube. When the sauce is done to your liking, stir in the cream and the Parmesan to finish. Use on your favourite pasta. Freeze the leftovers for another meal. Serving size and nutritional info is for a yield of approximately 3 jars (650-800ml) of bolognese sauce. To freeze, leave out the milk and the Parmesan and freeze. Add them when you use it. Depending on your Italian seasoning you might have to adjust to taste. I use two TBSP of my favourite brand, yours might be more potent. Adjust accordingly. I made this recipe and it is awesome . I added 2 teaspoons of sugar(to cut the tomatoed acidity) and a cup of cubed cheddar cheese. Yum, yum! Why chop? Use blender or processor to chop carrots and celery fine. This sauce is amazing. I always hated the lumps of meat in my old sauce recipe. This is smooth and extremely tasty. My brother-in-law thought he’d died and gone to heaven after eating it. Yes a food processor is also great! I am so glad that you liked it! 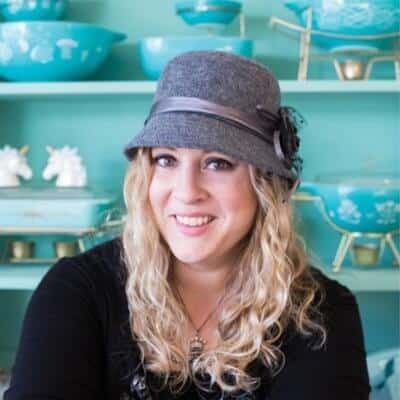 Probably a silly question… but do you stir it all together when you put everything in the crockpot or just let it stay in the layers in which they went in? The sauce was a lovely velvety texture, but I think I would play with the spices – I found the whole thing just tasted like Italian seasoning. Way too much Italian seasoning. Hi! Looks like a great recipe! I am lactose intolerant, can I substitute heavy cream for something else? Or omitting the cream from the recipe ok to do? A lot of recipes don’t even include cream, so no problem! Is it important that I use crushed tomatoes rather than diced tomatoes ? Can they be substituted? Diced won’t break down as nicely; you’ll have chunks of tomato skin. Purée them if you can! This may sound silly, how fine is “fine” with reference to the carrot and celery? And, have you ever added red wine to the sauce? If you look at the sauce close up on the spoon you can tell a bit how small I made them. Fairly small, you want them to fall apart and be super soft, but not minuscule. And a splash of red wine would be amazing! Thanks for the lovely comment! For the stove top it has to be low and slow, that’s the traditional way. I would cook it on a low simmer for 2-3 hours and then try it. You’ll know it’s done when it literally melts in your mouth. If the beef or any veggies are hard or still have a lot of texture, it needs more time!